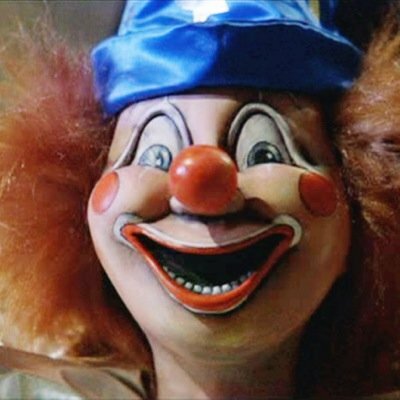 I think Poltergeist clown is scarier. I've heard that Python can be used in penetration testing. Does this book "Python Continuous Integration and Delivery" talk about this? I'd like to know if, nowadays, EJB is a technology that is still used. If a company plans to build a new app, EJB can be considered? Or are there better java technologies? To "Core Java, Volume II" author. Does Kotlin look like Ruby on Rails? Why would I choose Kotlin as a language? What kind of projects Kotlin is made for? What's the difference in programming with Kotlin than using Ruby on Rails, Scala, and so on? What are the best softwares to detect code vulnerabilities? In the company I work for, they use .NET framework. How to easily migrate from Google App Engine to JBoss/Wildfly and vice versa? Which IDE to use with node.js? I'd like to know which IDE is recommended for node.js programming. I've noticed that you've mentioned NoSQL, node.js, jquery, mongodb... what about using Java with SPA? Would you recommend that? Is Hudson useful in the construction of a Java web app deployed at Google App Engine? I'd like to know if Hudson is useful in the construction of a Java web app deployed at Google App Engine. Software Architecture for Developers question: a good architect should be a good programmer? Do you think a good system architect should be a good programmer too? Is WebSphere ready to be used on Cloud environment? How to encrypt a Glassfish pool connection configuration password(database)? On Glassfish AS administration console, how to encrypt a pool connection configuration password? How to make an Android app in a way its code can be portable to iOS?